Manufacturer of a wide range of products which include electro forming unit and 5 ltrs gold forming with filter cccv. Owing to our rich experience and vast knowledge of this domain, we have been able to offer supreme quality Electro Forming Unit to our valuable customers. To manufacture these electroforming units in adherence to the international quality standards, ultra-modern machinery is used. 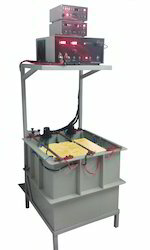 Their steady performance and longer functional life make these electroforming units highly demanded in the market. 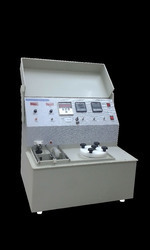 GOLD MICRON PLATING MACHINE OF 5 LRS TANK INBUILT, WITH A/H METER & TOTALIZER, BUILT IN FILTER. DIGITAL DISPLAY FOR VOLT , AMPS, TIMER, TEMP.